A reindeer dripping with snow (or Christmas cake icing, either way) is the Cass Art Christmas mascot this year. 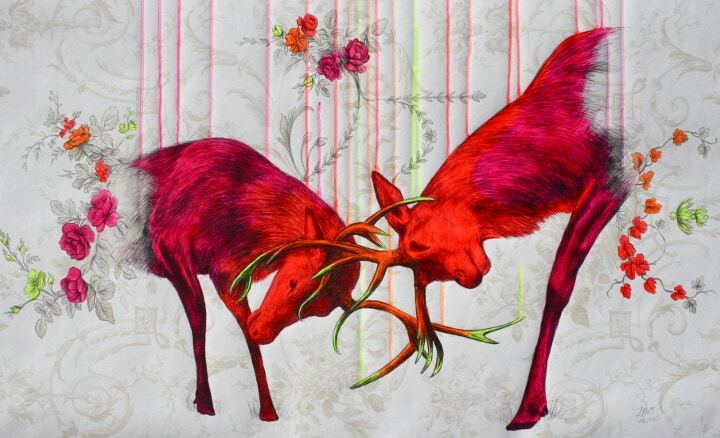 But an artist who champions neon stags all year round has caught our eye - Louise Mcnaught, an artist whose creations feature unusual celestial creatures and bright, blazing colours. Louise studied Fine Art at West Kent College and takes a mixed media approach to her Christmas inspired drawings and paintings, exploring acrylic, pencil, fast-drying oil paint and more. Using fluorescent colours and her mythical research behind each animal, her work focuses on an almost mystical energy radiating from each living thing. Hi Louise! So tell us about your Christmassy illustrations – what inspires them? Oh, the many many beautiful things in nature. Particularly animals that seem otherworldly like hummingbirds and albino animals. Nature is endlessly inspiring to me; I've loved animals and drawing ever since I can remember and art is all I have ever really wanted to do. I see you use acrylic, pencil and gold leaf amongst other materials – but what is your favourite art material and why? I think my absolute favourite has got to be Winsor & Newton alkyds, which are fast drying oil paints - they still create that lovely warm, buttery affect of oils but don't take weeks to dry! Your neon stags are particularly popular and a great icon at Christmas time. How do you decide which creatures to draw? I often draw animals because of their symbolic meaning, for instance stags have many. Their antlers were traditionally thought to be 'spiritual antennae' which meant the more points they had, the closer they were to the 'other world'. Sometime it will be how an animal looks that sparks off a painting as well, but I do still tend to look into the myths, legends and symbolism behind an animal to feed my inspiration. What’s your advice to budding artists and designers wanting to pursue a creative career? Well my first advice is never just listen to the opinion of one person! But what helped me most is getting my work online and 'out there', in as many shows and galleries that I could. Then people slowly become aware of you and your work, you start to socialise with other artists, opportunities come up and the art world slowly unfurls before you. But it is all down to you I'm afraid, you're not going to be 'discovered' unless you do the work. And finally – what’s on your Christmas list this year? Well my ultimate present would be a purpose-built studio in my back garden! But if not anything from Laura Leas Design Boutique in London. 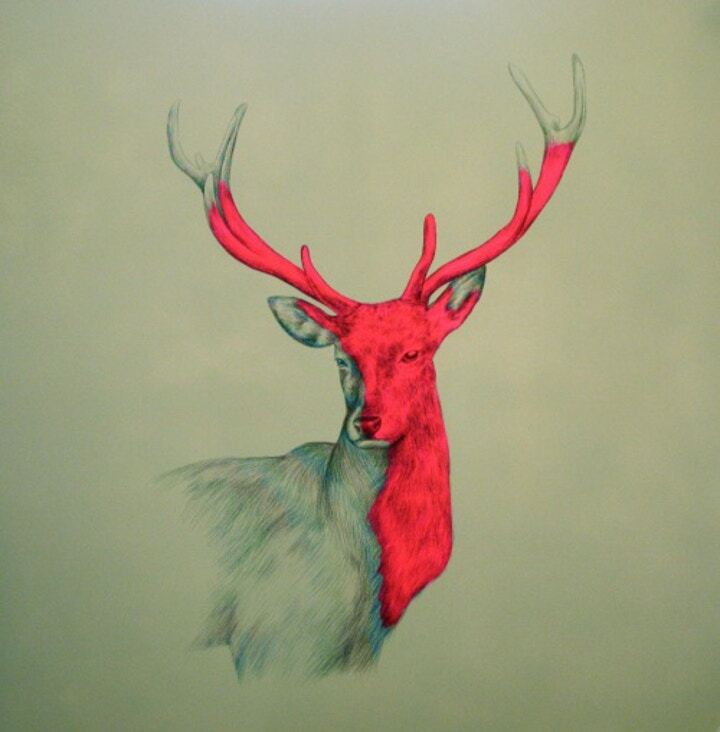 See more of Louise Mcnaught's work on her website. Shop all our Christmas gifts to make someone's Christmas or even treat yourself this festive season.